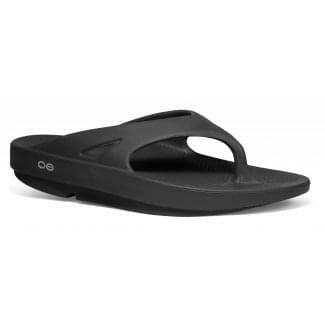 We stock a collection of Oofos UK flip flops at Excell Sports. With designs available for both men and women, you will find the perfect pair on our store. Oofos flip flops and sandals are designed to help your feet recover after exercise by absorbing impact as you walk, ideal for those who enjoy taking part in sports. 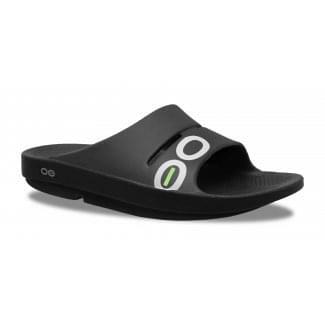 Oofos UK is a brand that specialises in producing recovery footwear for those who enjoy a lot of exercise or sports. 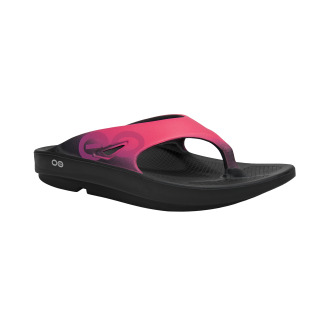 Our collection of Oofos flip flops include the brand's specialist technology which helps to absorb impact and shock as you walk, allowing your feet the comfort it needs to recover after physical activities. Oofos helps to reduce stress on sore feet which also aids recovery and relief for your ankles, knees and lower back by cradling your arches. At Excell Sports, we bring you a selection of styles from this unique brand, including thongs and sliders for men and women. 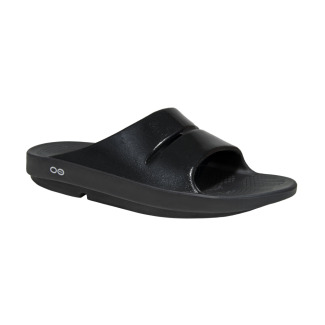 Shop mens sandals and womens sandals on our store from Oofos UK.